Starving Artists and other misc. I recently attended the Cherry Creek Arts Festival in Denver – we spent about five hours strolling around and it was hot sweaty fun, on constant sensory overload and hoping to find greatness every once in a while. The people-watching is as fascinating as the art. Since I cannot publish any of my photos of the art, and I took many, without violating copyright laws these two pics will have to suffice. The collective cultural mood of the weekend was friendly, the people typically free-spirited and a little on the crazy side. My kind of folks. As you might imagine, there were 3-4 streets, both sides, jammed with art booths. It took a long time to see it all and yet I am convinced it was worth our time, because we are both serious artists ourselves and because it has traditionally been enlightening to attend and view the enormous variety and check out the current trends. Paintings, Pastels, Ceramics, Photography, Wood Working, Jewelry, Collage & Mixed Media, etc.etc. A new surprise around every corner. You would think that Denver is screaming with fine art – we have the oldie but goodie Cherry Creek Art District, the newer South Santa Fe Drive Art District, the upcoming Rino Art District (river-north), the Highlands, the LODO (lower downtown) Art District and the various neighboring suburban art areas in old Littleton, Greenwood Village & Centennial, as well as Boulder just up the road about 45 minutes. There is the highly prestigious Denver Art Museum, the newly acquired and widely acclaimed Clyfford Still Museum and many other fine places to view art. 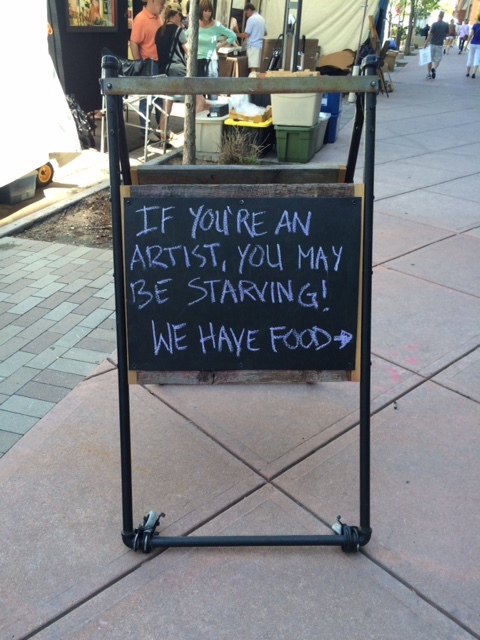 Denver has become a foodie town; I wish we would become a fine art destination town. People tell me that good abstract art is hot right now in Denver. I just don’t know exactly where. 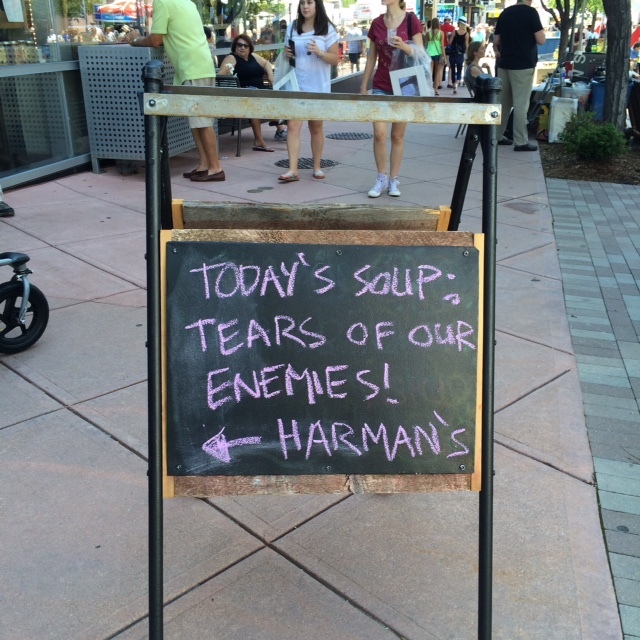 If I knew I would go there immediately. To me, it seems that really great abstract art shows up sporadically and mostly not at all. My instructor, Homare Ikeda, at the Art Student’s League of Denver is one of the best abstract artists around. We found some sophisticated abstract art, quite exciting, at the booth of Michael McKee from Fountain Hills, AZ. at the Cherry Creek Arts Festival, and he comes back almost every year. Western art is always popular, and usually it is very fine here in Denver. There was recently an important show of women artists’ work. And of course there is also a plentiful supply of junk. Denver is hot right now; we are some of the most well-educated and fit people in the country. We are almost electrically charged with energy, jobs, people moving here in droves and a real estate market like it used to be in California. However, galleries close here as fast as they open. One week they are here and the next they are gone. As an artist it is very difficult to break into the gallery scene unless you want to be in the kind of shop that carries a lot of trivia as well. True fine art galleries that endure are rare. That is because a large number of inexperienced idiots with a bit of money believe that all you have to do is find a large space, paint the walls white, put up a sign, open the door and you will have collectors streaming in to make purchases. Heh. Omg. Really? Yes there are still people like that out there. I know very few artists who live here who are not starving. We all have to have other incomes. The people who rent booth space at Cherry Creek Art Festival, or any of the other summer art fairs pay outrageous amounts of money to set up their booths all across the country – very few are local people – and it is a gypsy life for them, traveling around in the art fair circuit and working through all kinds of extreme heat, wind, hail and torrential rain. They have to be able to cover and protect their precious wares at the drop of a hat or a hailstone. It is not an easy life. But being artistic is not, and never has been an easy life – you have heard me talk about it before in my blogs. It ebbs and sometimes it flows, but it is always unpredictable.